Yesterday (30-January-2018) Bárðarbunga volcano had strongest earthquake since 27-October-2017. 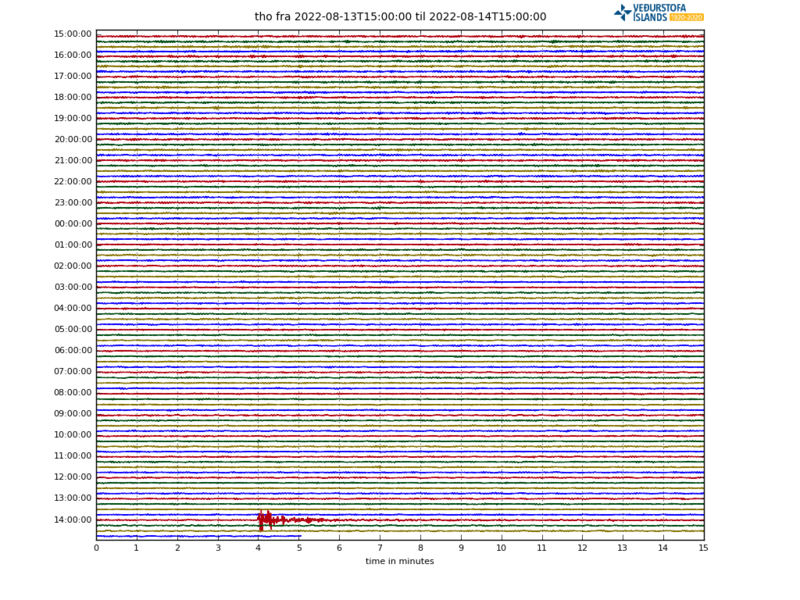 That earthquake had the magnitude of Mw4,9 (at 19:24 UTC). 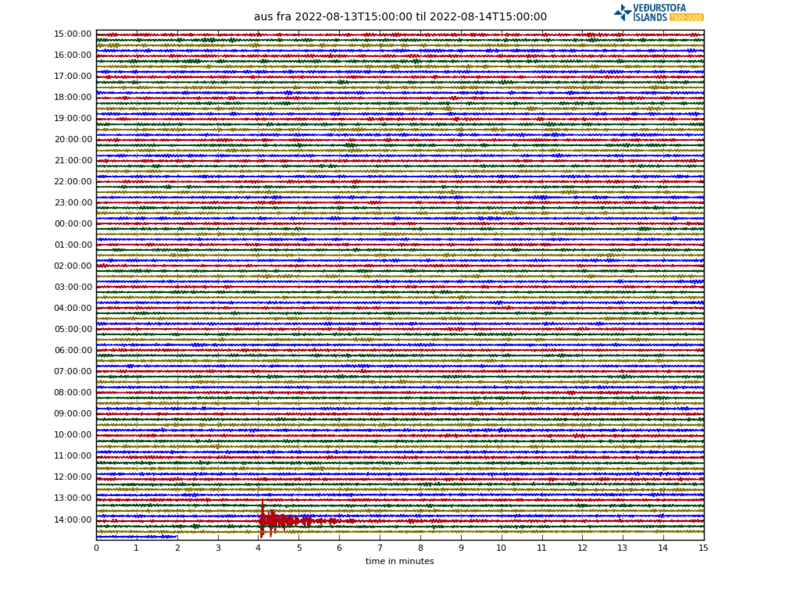 Two earlier earthquakes had happened but they had smaller magnitude of 3,7 (at 17:47 UTC) and magnitude 3,8 (at 18:00 UTC). The earthquake swarm in Bárðarbunga volcano (green stars). Copyright of this image belongs to Icelandic Met Office. 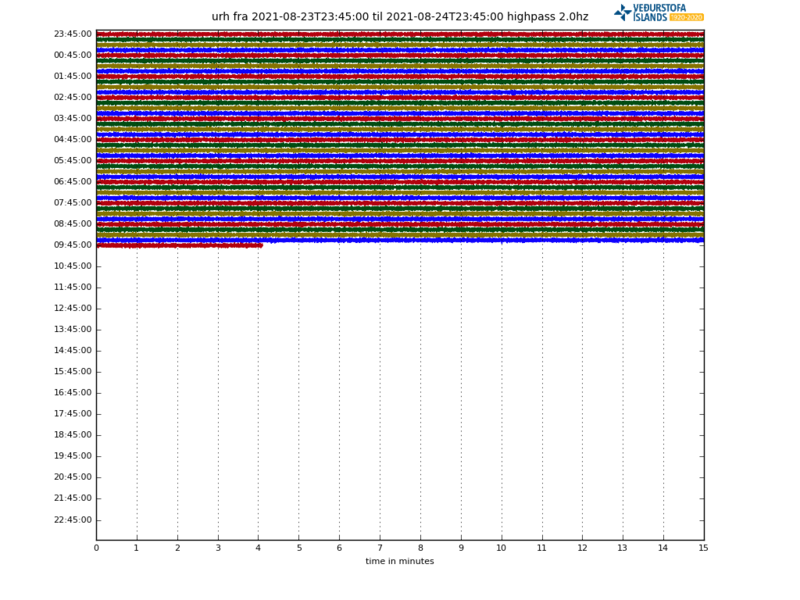 Earthquake activity seems to have stopped with last earthquake happening at 21:29 UTC. There is no change in harmonic tremor from Bárðarbunga volcano and that means no eruption. The north-east part of the Bárðarbunga volcano seems to be getting unstable with each earthquake swarm that happens. Magnitude of earthquakes happening has also increased but it is now longer between earthquake swarm. The time between earthquake swarms now can go up to several weeks. Soon after this earthquake activity started in September-2015 this type of activity happened weekly. So the 4.7 earthquakes at Bárðarbungu straddling 26th and 27th October were eventually upgraded to 4.9? I must have missed something because I did not see this. Does anyone else think the next Bard eruption will be started by a large quake? The quake M4.9 was far to the north of the volcano and the glacier. It was connected to Bardarbunga? Yes, it was on north-east part of Bárðarbunga volcano. That area has hydrothermal activity (high) at the moment. Suggesting that magma is at >1km depth at that location in the caldera rim. Eruption in that location is highly likely and that would be really bad if that happens. Tkanks Jón. If the eruption starts in this place, it will look like the one in the Holuhraun field I think. But there is no swarm of quakes in this area, just one (but strong), I mean no intrusion from Bardarbunga magma chamber like it was before Holuhraun eruption. I just thinking loud and sorry for my english.